Everyone (even K and 3rd grade teachers) will be receiving new Common Core State Standard tabs for all Reading Street teacher manuals. You can insert these in your manuals at the beginning of each week's plans. If you have not already gotten them, I, or your ELA chair will be delivering them to you next week. Everyone will also be receiving a CCSS edition of the Weekly Test Booklets- both a teacher manual and student edition to copy. These will be coming to you next week as well. There are still about 12 spots left! *Record your name on the Doodle to reserve your spot! During the first round of Reading Street Unit tests, I ordered, organized and sent out copies to all buildings. This proved to be difficult and time consuming, but a also a waste of paper, since I made copies that some teachers did not need due to the way they administered the test. For this second round, we've tried to organize this with one person at each building. This, too, has proven to be difficult and time consuming for one person to do at this level. We've come to the conclusion that this needs to be an individual responsibility. For Unit 3 and beyond, arrange well ahead of time for your own copies of these Unit Assessments. If you need copies for all of your students, please make sure you send orders to Lisa Scott at the copy center well ahead of time. 1. You might have heard that Michigan now calls the CCSS the CCRS (College and Career Readiness Standards). So, if if you see CCRS, know that it is the same as CCSS. and bonus activities for winter science and art fun! See our Companion Wikispace to download. Can you believe you've already been in school for 30 days?! The MAISA website ( Michigan Association of Intermediate School Administrators) offers entire units aligned to the CCSS. Download the zip files for your use. The last time I saw free units, just a few months later they were pulled, and are now $30 to order! I hear the term "Unpacking" a lot with the CCSS, but the following is the first time I've seen anyone do it and publish it! Some of these are new, some you have seen before, some are redundant, but now they are all in one spot! Thanks for sharing these when you find them! Now that you've used the program for a week, these might be more beneficial. The IISD Reading Street Wikispace! Get connected with other users in the county. Go to the site and request an invite and I'll add you! And don't forget the ELPS Shared Drive to find other materials teachers have created and shared. September 8th is International Literacy Day! It is difficult right now to think about planning one more thing, but check out some of the ideas you can do for September 8th and beyond to promote literacy! If you want to get a project going, but don't have time to plan- I WILL HELP, just ask me! Read Picture Books FREE Online with Your Students at We Give Books. We Give Books is a new digital initiative that enables anyone with access to the Internet to put books in the hands of children who don't have them, simply by reading online. We Give Books combines the joy of reading with the power of helping others, providing a platform for caregivers and educators to inspire children to become lifelong readers and lifelong givers. We Give Books also helps some of the world's best, most inspiring, literacy organizations by spreading the word about their great work and by providing books to the young people these organizations support. You'll find books like Llama, Llama, Red Pajama, Why Monkeys Swing in Trees, Why Elephant has a Trunk and many more. This site provides very detailed plans for celebrating National Literacy Day in K-12 classrooms and includes topics on traditional reading and writing, learning centers, e-pals, and digital literacy. If you have the book Memoirs of a Goldfish, click here to download activities, posters, and templates. Memoirs of a Goldfish is the 2011 Michigan Reads! One State, One Children's Book program. and Reading in the Disciplines. Print your own copies by clicking on the titles. It's already time to head back! With professional development on CCSS and Reading Street coming up next week, I'm revisiting some topics on this blog from the spring, and adding some additional information. Educators will need to unfold these standards in order to compare them to current classroom practice and identify adjustments to instruction and materials that support the depth of understanding implicit in the CCSS. SMARTBOARD RESOURCES ON THE ELPS SHARED DRIVE! In addition to the resources below, you can now find SmartBoard resources on the ELPS Shared Drive for 1st grade from Okemos teacher Penny Wallace. Go to the 1st grade folder and see "Penny's Reading Street Files"
If you don't already know about this great resource, check out Laura Candler's website called Teaching Resources. She has a whole section explaining the 90 minute block and provides many great templates for organizing centers. This is not tied specifically to Reading Street, but a general structure of a 90 minute block. As you get to know all of the elements of Reading Street, I'm sure you'll see how they plug into this framework of the 90 minute literacy block. 1. If you have a Facebook page and like to stay up-to-date on teaching resources, check out and "like" Laura Candler's Facebook Page which she updates regularly. 2. Choice Literacy offers free newsletters to non-members and provides links to many literacy related articles and resources. I hope you are enjoying your summer and are able to get in some of your favorite reads! 2. Literacy Keepsakes to take home at the end of the school year. -See these Scholastic lists and tips and others to keep students reading during the summer. - End of Year and Summer Reading Lists. This position statement from the NCTE calls for funding to advance literacy learning for all students. Read the entire statement at the link above. My Pearson Training- Reading Street 2011 site. You can view videos and download tutorial materials. Thanks to Jodi Lepla for the following sites filled with Reading Street resources for teachers. It looks like these give a nice snapshot of how other teachers are implementing Reading Street successfully. I know some of the K-1 Haslett teachers used these sites for the SmartBoard help and the organization tips. We are approaching our final two Reading Street in service dates for the 2010-2011 school year on May 24th at MacDonald Middle School from 4:15-5:15 p.m. Followed by a voluntary June 13th in service (paid at the curriculum rate) at the same location for those that can attend, from 8:30 a.m. –3:30 p.m. We will also begin to disperse more of the Reading Street materials to buildings and classrooms as the pace picks up for remaining PD this year and as we look forward into the summer and fall. The logistics of disbursing materials to schools is complicated by current staffing considerations. As many of you know staffing patterns for the 2011-2012 school year may look a little different than they do today. This will require building principals and building teams to shift materials as staffing changes take place. We are keeping a tight inventory of what is being shipped to buildings in order to make changes down the road. Classrooms will engage students in the full breadth of resources and of the parameters described in the non-negotiables for each grade level: Get Ready to Read, Small Group Time, Progress Monitoring, Enrichment for Advanced Students, Focused Center Time in conjunction with small group time, and Assessment components shall provide the basis for instruction within the 90 min. block. Teachers shall use a five - day plan as outlined in the Reading Street program within 90-minute blocks of time for your students. For shortened weeks due to vacation periods, half days such as PTC days, etc. teachers will follow an appropriate three or four-day plan set by Reading Street for such abbreviated weeks. We will continue with our current Sitton Spelling program and the Calkins Units of Study writer’s workshop. The 90 min. block is designed for reading instruction from Reading Street, and therefore does not include Sitton Spelling or the Units of Study. With your input ELA chairs will evaluate the efficacy of the Sitton Spelling program and the Calkins Units of Study next year to determine future direction. Social Studies and Science curriculums tied to GLCEs will continue until we know more about the CCSS for these subject areas. The 90 min. reading block will not negate time for these subject areas within the current parameters of our instructional day, though you may support topics on other subjects through the use of Leveled Based Readers from Reading Street. We will have to make some adaptations to insure we are teaching the essential elements of social studies and science as we move forward. The core reading program will be implemented by all classrooms on September 19th, 2011 with follow up by principals as they begin monitoring full implementation. Given this start date for all classrooms, teachers will have the necessary time to establish their classroom routines, behavior management systems, and relationships with students. For resource classrooms using My Sidewalks, the accompaniment to Reading Street for use as a tier 3-intervention program, the start date will be determined by the implementation of interventions for individual students and or groups of students not successful in the core-reading program (Reading Street). A likely start date for the use of My Sidewalks will be in October of 2011. Continued professional development will be key to supporting your work. Melissa Yip will be providing on site support designed to respond to teacher instructional needs tied to the use of the core program, improve teaching pedagogy as needed, and set in motion an understanding of assessment practices embedded in Reading Street that will be used and entered into our student data base Pearson Inform. There is much to work out yet in terms of implementation. We all know that good teachers know that new programs take time to implement and they require a collaborative effort on the part of everyone. Your support of one another will be important. PD will be built around common grade level time for conversation, planning, and implementation strategies. We anticipate that grade level meeting time will begin as part of the June 13th voluntary PD and perhaps on into the summer should teachers choose to meet on their own time as teachers often do. So, the journey with Reading Street has just begun as part of the district’s RtI / literacy initiative and alignment with CCSS. 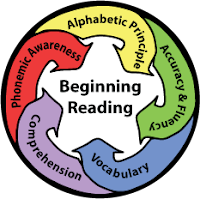 Insuring that we have a strong core reading program as part of our tier one work with students supports our ability to intervene early and often with students as we build great readers of many genres. Our current genre units will be reviewed and kept in your classroom for now. As the district makes a transition over the course of the 2011-2012 school year to the new Common Core State Standards a determination will be made as to what portions of the genre units may be applicable. Conducting a gap analysis between what we are currently doing and the new CCSS will be an important undertaking next year. For now we are still teaching to the current GLCEs, but are informed by the new CCSS as we take the cross walk between the two sets of standards. Reading Street addresses genre and provides support and access for current GLCEs, as well as the CCSS. When visiting schools that have implemented Reading Street, teachers have observed some very good methods of both organization of materials, and their instructional day/week. This information can also be shared with grade level teachers as we move forward. Buildings will have to determine how best to organize material for their use and then appropriate building funds and space to support the organization of materials. We’ll see you on Tuesday, May 24th for our Reading Street PD and again, if your schedule allows, at the June 13th full day voluntary PD before heading into the summer months. Please anticipate that the remaining sets of building and classroom materials will be arriving at your schools shortly. We will identify which materials you should bring to the remaining PDs. See you soon. As we discussed in some of our professional development sessions, strategies done before reading are most useful for students' reading comprehension. See this lesson, and related handout for how to do a Seed Discussion with your students. Children who read on grade level by the end of third grade are more successful in school, work, and in life. This KIDS COUNT special report affirms a commitment by the Casey Foundation to help ensure that all students are proficient in reading by the end of third grade and help narrow the gap between advantaged and disadvantaged children. Click on the title above to download and read the entire report. May 24th, 2011 4:15-5:15 MacDonald Middle School. Materials : Teacher Editions, First Stop Manuals, Fresh Reads for Differentiated Test Practice, Baseline Assessments, Assessment Handbooks and Weekly Tests. ** Materials are still being sorted and will come to you as soon as possible. 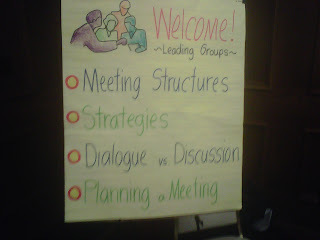 As you can see from my last post, some teachers attended MRA and are sharing information here. If you attended a professional development session outside the district and would like to share anything, please let me know, or "comment" on the MRA post to share your own sites and materials. Teachers who attended the MRA Conference in March are sharing information from sessions in the form of handouts or slideshows. I am pleased to be able to use our Literacy Newsletter in this collaborative way! I will add to it as information comes in. Steve Seward i s an educational consultant. 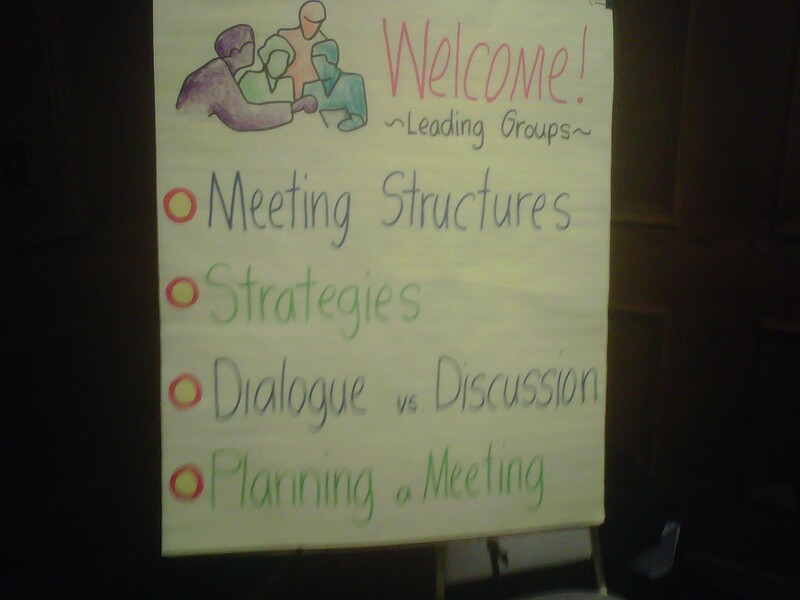 His MRA session focused on how educational leaders can facilitate effective meetings. See his website on resources for charting and instructional techniques. -See the documents on this session, shared by Jennifer Wright, on the Companion Wikispace. Kelly Gallagher’s message targeted teaching deeper reading and writing, more specifically; there are steps we can take to avoid “readicide” in our classrooms. On March 29th I visited teachers at MMS to provide follow up material from our Feburary 22nd professional development session. I'll do the same follow up with HS staff on April 19th. On April 12th, I visited teachers of Whitehills and Glencairn to share and discuss reading comprehension strategies. If you haven't already checked out following websites, I'll list them here for you to do so! Looking for images to go along with reading and vocabulary instruction? This site pulls all photos from Flickr that fit the "tag" you are searching. To disseminate information about research-based practices related to literacy instruction and assessment for children in pre-school through 12th grade. This site is a collaboration by National Council Teachers of English and the International Reading Association. Practice guides provide practical recommendations for educators to help them address the everyday challenges they face in their classrooms and schools. Developed by a panel of nationally recognized experts, practice guides consist of actionable recommendations, strategies for overcoming potential roadblocks, and an indication of the strength of evidence supporting each recommendation. IES practice guides are subjected to rigorous external peer review. Common Core’s Curriculum Maps in English Language Arts translate the new Common Core State Standards for Kindergarten through 12th grade into unit maps that teachers can use to plan their year, craft their own more detailed curriculum, and create lesson plans. They were were written by public school teachers for public school teachers and are available free of charge to anyone who would like to use them. The maps are flexible and adaptable, yet they address every standard in the CCSS. Any teacher, school, or district that chooses to follow the Common Core maps can be confident that they are adhering to the standards. The maps are undergoing revision based on suggestions received during a month-long public comment period conducted in the Fall of 2010. A 2011 edition of the maps will be released soon. 1) Introduce the pronunciation of the word. In order to attachment meaning to the vocabulary term and to retrieve that meaning, students must pronounce the word correctly. If the word is one that students have neither heard or said OR is difficult to pronounce, have the students pronounce the word a number of times. 2) Provide a student-friendly explanation of the word’s meaning. The next step is to present the meaning of the word using a definition/explanation that is easy to understand and only includes known words. Presentation of the definition within a sentence makes it easier to process the definition. See sites below for online dictionaries. Dr. Archer presented a number of examples to illustrate the vocabulary term/concept. Some of the examples related to the students’ own experiences while other examples related directly to the use of the word in the passage, thus bridging vocabulary instruction and passage comprehension. And see Tag Galaxy for pictures to aide in vocabulary instruction! 4) Check understanding by asking questions. MINI PROFESSIONAL DEVELOPMENT SESSIONS ONLINE! Each video includes a description, feedback on her teaching, and suggestions to improve. This site is relevant for all subject areas and all grade levels. This is truly a collection of mini professional development session on the web! The Institute of Education Sciences (IES) from the What Works Clearninghouse and the U.S. Department of Education produces practice guides for K-12 teachers based on the "best available evidence and expertise to bear on current challenges in education. " Recommendations are made, and the strength of the research is rated based on evidence to support these recommendations. Students who read with understanding at an early age gain access to a broader range of texts, knowledge, and educational opportunities, making early reading comprehension instruction particularly critical. This guide recommends five specific steps that teachers, reading coaches, and principals can take to successfully improve reading comprehension for young readers. The Letter Generator tool is designed to help students learn to identify all the essential parts of a business or friendly letter, and then generate letters by typing information into letter templates. A sample letter is included, and students can learn about the parts of a letter by reading descriptions of each part. Once students have become familiar with letter formats, they are prompted to write their own letter. Students follow the steps and fill in specific fields in the template (for example, heading, salutation, closing, signature, and so on). They may even add a decorative border and postscript to the friendly letter. The finished letter can saved, e-mailed, or printed. This useful tool provides step-by-step instructions for familiarizing users with the necessary elements of written correspondence, and can serve as an excellent practice method for composing and proofreading both formal and informal letters. There are options for K-12 teachers and various subject areas! From: ReadWriteThink- an NCTE site.